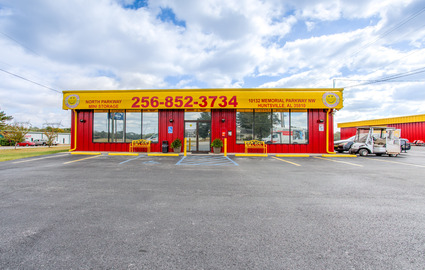 Combining convenience, simplicity, and the best features, North Parkway Mini Storage is providing the best self storage experience in the greater Huntsville, Alabama area. Our locally owned and operated facility is ready to take on your project, so pick up the phone and give our friendly team a call! Our location makes us convenient to many residents in the area, but we’re especially convenient to students attending Alabama A&M University right here in Huntsville. We’re just two miles north on Memorial Parkway, offering affordable, smaller-sized spaces that are perfect for student needs. We’re also close to Redstone Arsenal and the surrounding cities of Hazel Green, Meridian, Chase, and Moores Mill. No matter where you are coming from, allow us to be your first choice in storage. Do you have business documents, antiques, or wooden furniture you’re planning on storing? Did you know that leaving those items in a standard, outdoor unit would be detrimental to their condition and value? Lucky for you, North Parkway Mini Storage has climate-controlled spaces that are built to maintain a constant temperature throughout the year, even through the humidity of the Alabaman summers. Now you can protect your belongings even when they aren’t at home! When you choose to store with us you’ll be storing with the best facility in town. That might sound like a far-flung statement, but we can prove it! Our family-run business is dedicated to making each of our tenants feel like they are an important part of our facility, and they are! We respect your needs and your project, making sure to give you the help you need when you need it and being available at all times. If you need more incentive, just come see us for yourself. You won’t be disappointed.